Accelerate your collaboration. 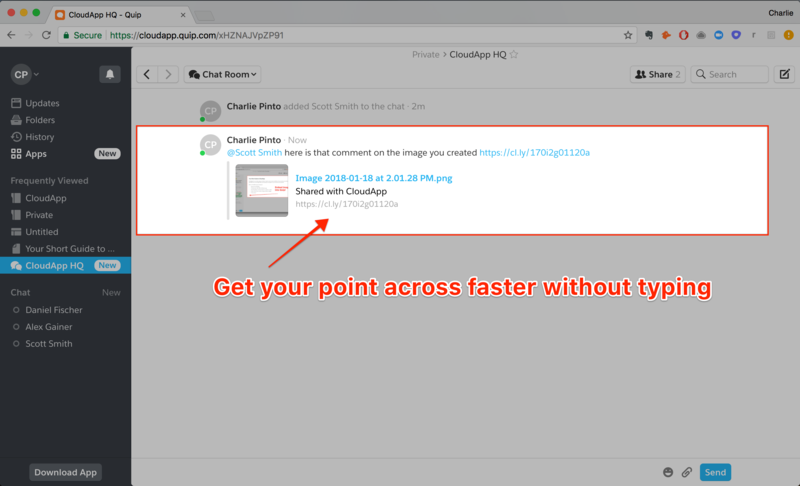 Get your point across faster by capturing and annotating visual content (HD videos, GIFs, screenshots), then sharing inside Quip. CloudApp helps you quickly capture visual content. All visuals are kept safe and CloudApp creates a sharable link that you can secure with enhanced features like password and auto-delete settings. 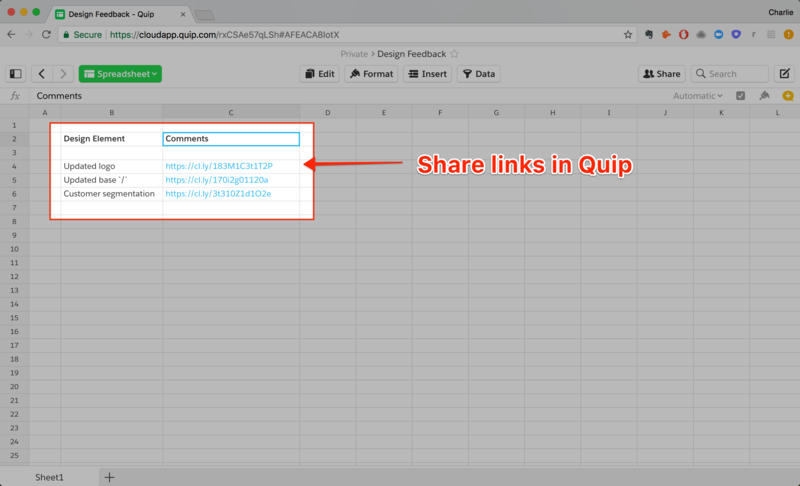 Capture and draw on any visual before sharing in a Quip Document, Spreadsheet, or Chat. Add arrows, boxes, underline, and emojis to get your point across faster.